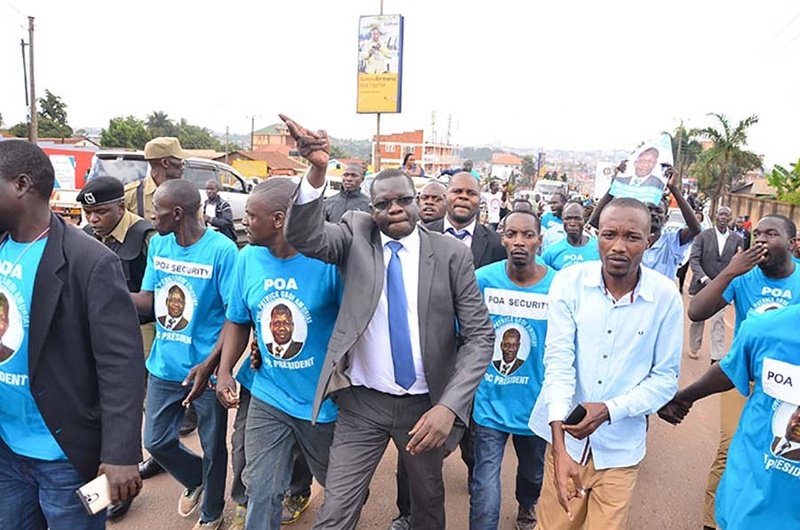 ISINGIRO– A total of 100 people from the ruling National Resistance Movement (NRM) party in Isingiro District on Wednesday announced that they were leaving the party and joining the Forum for Democratic Change (FDC). The group, who are residents of Rugaaga Sub County in Isingiro who said they have defected from the ruling NRM party due to corruption and discrimination. Mr Stanley Katembeya, the FDC chairperson Mbarara who led the party leaders that received defectors said the NRM government is losing popularity and is being sustained by money and guns. Isingiro Resident District Commissioner Herbert Muhangi, however, said their reasons for defection are mere propaganda by the opposition because NRM does not discriminate in service delivery are they are claiming. The FDC leadership has revised its strategies ever since their former president, Maj Gen Mugisha Muntu, announced that he was leaving the party to form a new party. FDC leaders from the 10 districts that make up Ankole sub-region early this month pledged their loyalty to the party and described as rumours claim that they had joined Maj Gen Muntu’s New Formation. A week earlier, the New Formation had paraded what it said were 64 members who had left the FDC party. Mr Daniel Kafureka, who had been the General Secretary for FDC Mbarara, noted that those who had resigned are all leaders at the district and constituency levels. The districts he said included Mbarara, Kiruhura, Isingiro, Ntungamo, Ibanda, Sheema, Mitooma, Rubirizi, Bushenyi and Buhweju. However, eight of the leaders in the above-mentioned districts, in a meeting attended by Buhweju MP Francis Mwijukye and FDC president for Mbarara Stanley Katembeya, reaffirmed their commitment to the struggle to remove Mr Museveni under FDC. Only FDC leaders from Rubirizi and Ntungamo districts were missing. Mr Mwijukye said while Gen Muntu has leadership credentials, he may not be the right person to defeat President Museveni.